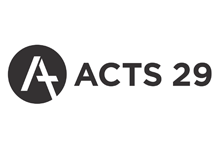 Over the last ten years Acts 29 has emerged from a small band of brothers to over 400 churches in the United States and networks of churches in multiple countries. We want to allow a unifying, uncommon move of God to happen through Acts 29 -- all centered on the gospel and advancing the mission of Jesus through obediently planting church-planting churches. It is our desire to see this leading to millions of lives changed by the power of the Spirit for the glory of God. Acts 29 is not a model or a style. We have classical church plants with a preacher and a congregation, we have video-delivered sermons, we have missional community models, replants, and existing churches that want to plant churches with us. We seek to be a movement of church-planting networks - that is, decentralized and empowered networks to lead men of all different types of churches in order to make disciples of all people groups.